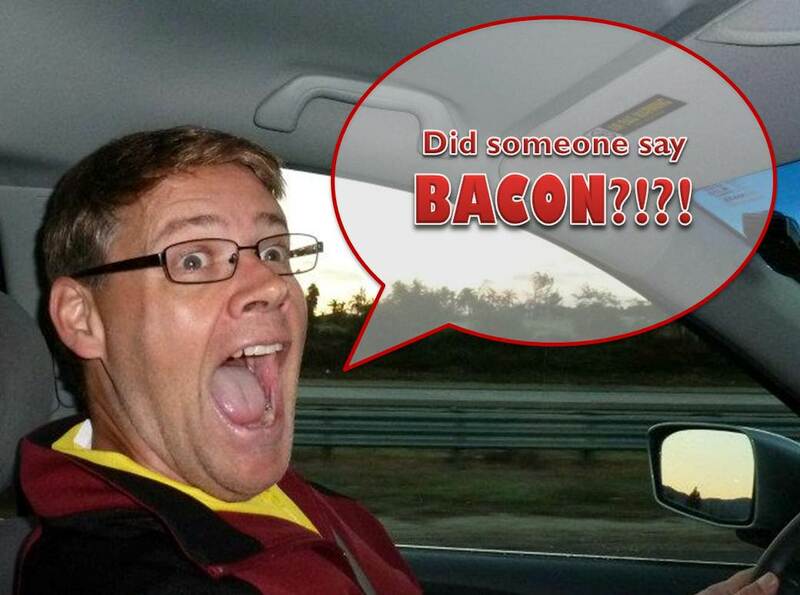 Everyone who knows my mentor knows that he is completely and unapologetically obsessed with bacon. It goes without saying that most men love meat. Steak, pot roast, ribs, you name it. However, the Fonz takes his affection to another level completely. He is singlehandedly responsible for the imminent bacon shortage and damn proud of it. One of his favorite treats is bacon and maple syrup over ice cream. As his Mento, gift-giving has never been a hard task. Stick to the theme for birthdays and Christmas and presents are sure to be winners. 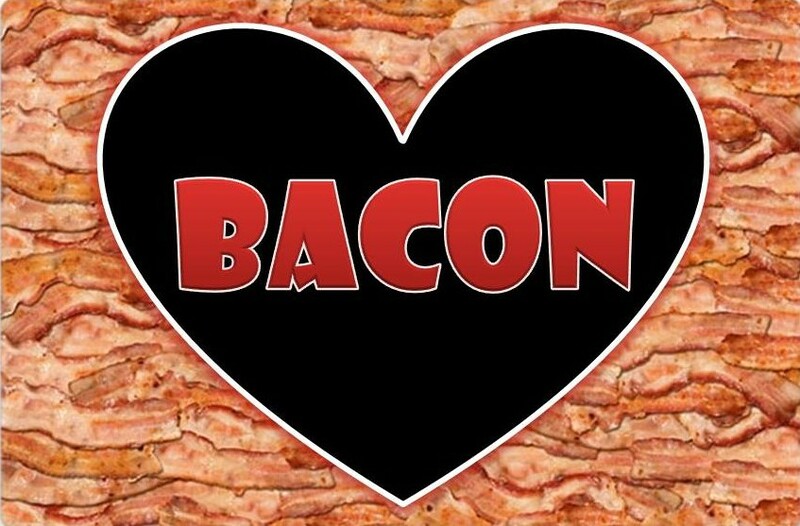 Luckily, there seem to be quite a number of people who love bacon just as much as the Fonz and obscure items like bacon-flavored toothpaste or bacon-flavored jelly beans are readily available if you just look hard enough. Over the years, the Fonz has received bacon inspired t-shirts, chap stick, a daily calendar, stickers, and so much more from friends. 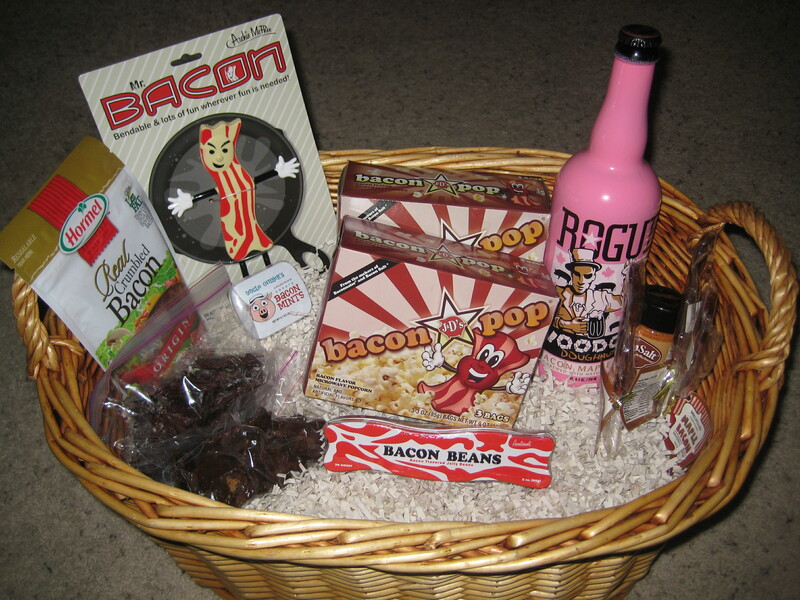 Urban Outfitters, BaconFreak, World Market, and ThinkGeek are just some of the places to find fun bacon products. Baconpalooza! Includes bacon, Mr. Bacon gumby, BaconPop, bacon jelly beans, bacon mints, maple bacon ale, maple bacon lollipops, bacon salt, and homemade candied and chocolate bacon. And if you can’t find it, you can always make it. 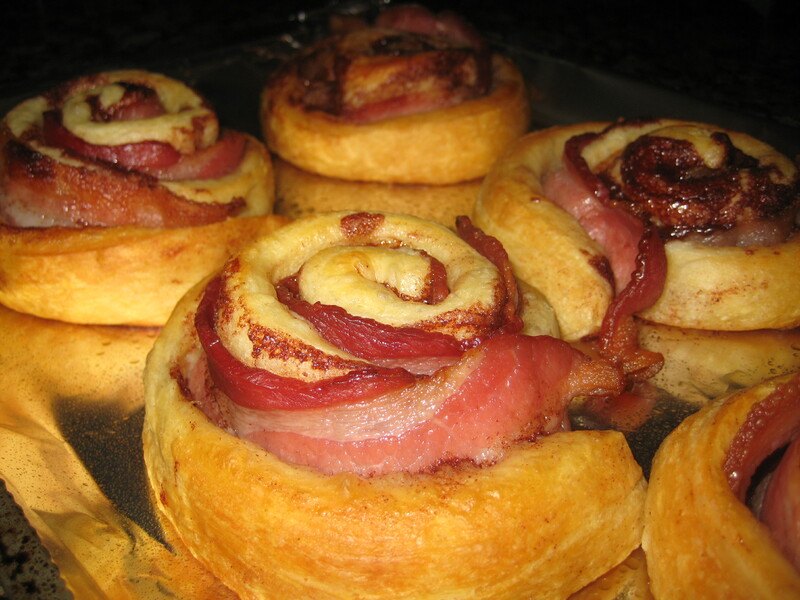 Two of the best bacon treat recipes are below. The brownies are the perfect combo of salty and sweet with a powerful bacon essence. The cinnamon rolls are amazing and incredibly easy to make. They both earned the Fonz’s stamp of approval. Once cooked, cut or crumble into small pieces. Empty brownie mix into a bowl and have your egg and vegetable oil* ready. Add 2/3 of the bacon to the dry brownie mix. Pour the batter into the pan. Bake as directed. 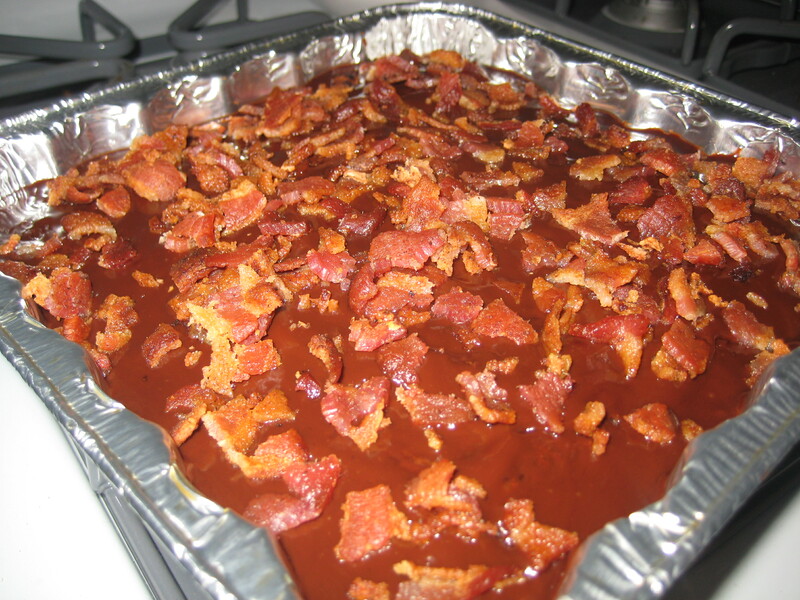 Once cool, add the fudge topping and sprinkle the rest of the bacon on top. *For extra bacon-y goodness, substitute the leftover bacon grease in place of the vegetable oil. Cook the bacon so that it is still flexible. Unroll the dough and roll in two slices into each roll. I melted the frosting and poured it over each roll so that it soaked into the bread. *For extra bacon-y flavor, cook and crumble a few pieces on top of the frosting. The only times in my life I have ever made bacon were for treats for the Fonz. I have been burned with grease and my stove has been covered in bacon splatter all for the sake of my mentor. Gotta lay that guilt on thick like a slice of bacon. If you’re a fan of salty and sweet combos, these recipes are easy and scrumptious. If you’re interested in making them, better run out and get yourselves some bacon before the Fonz gets to it.